Some of the foods high in purine content are generally: Foods high in protein, such as meat products especially organ meats, seafoods, peanuts, peas, lentils, flour and sugar products. Also avoid alcohol, caffeine and tobacco, if you suffer from gout. 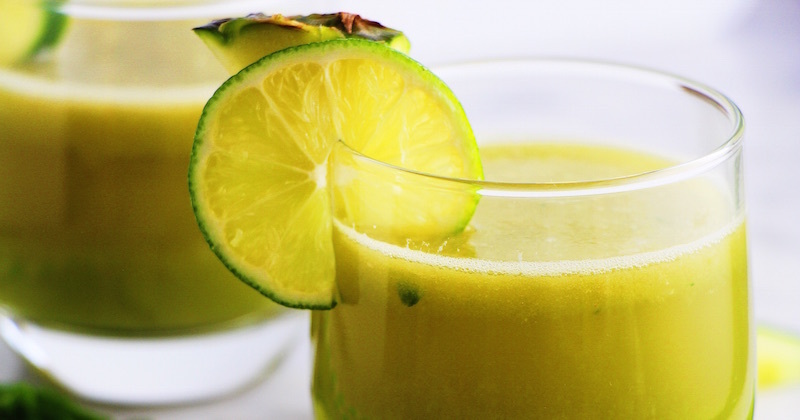 Then, drink these juice recipes regularly till you see an improvement, and continue some more. I have seen many improvements with my clients who stick to these simple diet change. 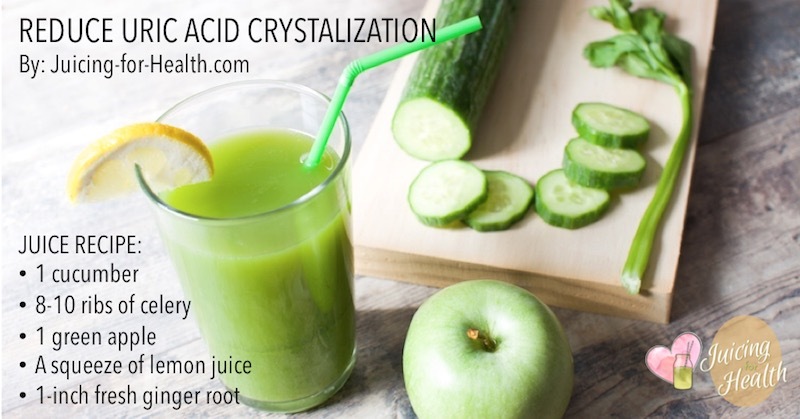 All the ingredients in these juice recipes support the kidneys, help prevent oxidation and formation of uric acid crystallines. Pineapple juice contains Bromelain and is an excellent natural pain-killer. Use only freshly squeezed pineapple juice. Avoid canned or frozen pineapple as they have lost this pain-reducing enzymes. Ginger contains gingerol and anti-oxidant properties that help relieve various inflammatory disorders like gout, osteoarthritis, and rheumatoid arthritis. It provides substantial relief in pain caused by inflammation and help decrease swelling and morning stiffness. 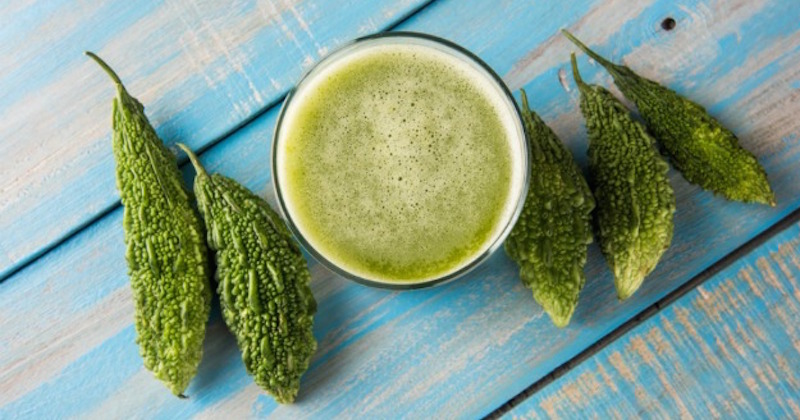 Bitter gourd juice is liver cleansing. It helps clean up a toxic blood, improves blood circulation and relieves gout pain. Read more about making simple lifestyle/dietary modifications to totally eliminate gout.